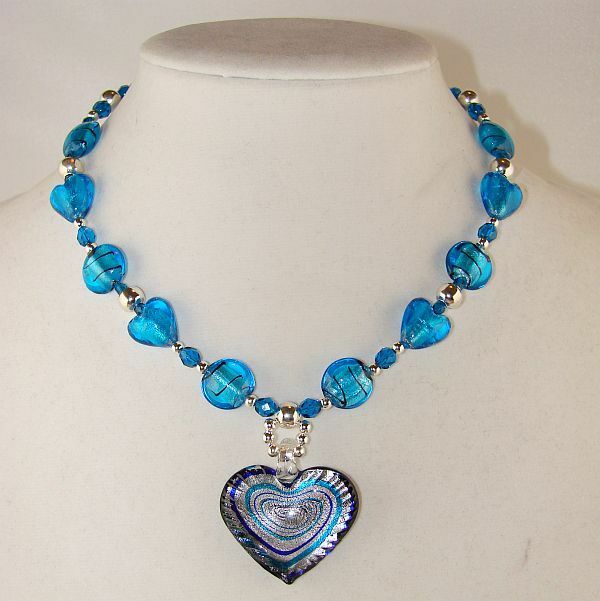 Blue foil hears and coins, Czech crystals and silver plated spacer beads. 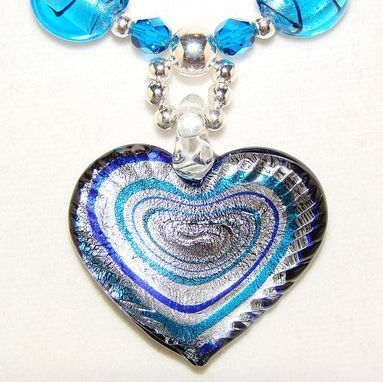 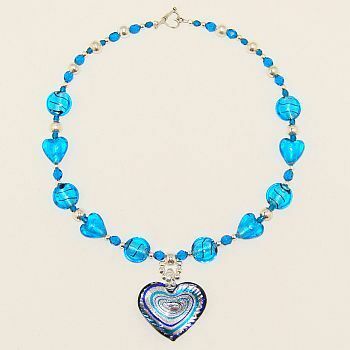 Beautiful glass heart pendant swirled with aqua and cobalt on silver foil. 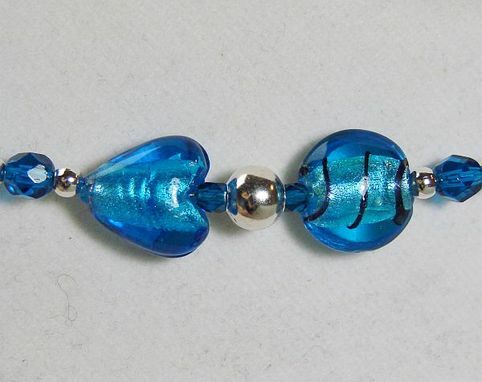 Silver plated clasp.